Why Do I Need a Professionally Written Business Plan? What Are Some Of The Not So Obvious Reasons That You Need A Business Plan? Wise Business Plans > Blog > blog > What Are Some Of The Not So Obvious Reasons That You Need A Business Plan? Sure, most prospective entrepreneurs understand that they will need a business plan. The majority think they have to have one to get financing from a bank or lending institution, but there are many other reasons that are just as important. Some of these reasons may not be so obvious, but when you present your plan to a bank or investor, you can bet they are looking for some indicators that you have thought and planned beyond just getting your funding. A lender or investor wants to see your future vision for your company. Not just that your model is sound, but what you are going to do with it. You know, can you drive this car to its full potential. Businesses evolve and adapt over time, and factoring future growth and direction into your business plan can be a way to plan for changes in the market, growing or slowing trends, and new directions to take as the company grows. Although clarifying direction in the business plan lets you know where you’re starting, future vision shows you have goals to reach for. You may not know it now but someday when you need to hire that perfect employee who will set your company’s productivity on fire, they will probably ask to see your business plan. Your business plan should be designed as a sale tool to attract partners, secure supplier accounts and attract executive level employees into the new venture. Business plans should be shared with these candidates or future partners to help convince them of the potential for the business, and persuade them to join the team. Now that you are established, how do you know what level of success you have attained? 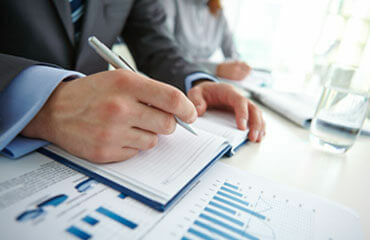 A professional business plan allows you to compare actual operational results versus the business plan itself. Your plan allows you to clearly see whether you have achieved your strategic, financing, and operational goals. A professionally written business plan includes the kind of research and detail that you can use to track your successes and failures. A professionally written business plan provides a roadmap from which to operate and to look to for direction in times of doubt. Without a business plan, you may shift your short-term strategies constantly without a clear view of your long-term milestones. Wise Business Plans is here to help you with your business planning but will also stay with you through the years providing website, logo and graphic design services, along with management consulting and other professional services.